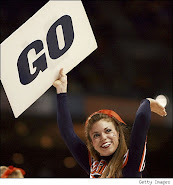 VIRGINIA 57, VIRGINIA TECH 54 –Duke, smook, the Virginia Cavaliers are atop the ACC basketball standings with a perfect 1-0 record after defeating rival Virginia Tech in Blacksburg on Sunday. Mike Scott scored 21 points and Assane Sene made two big baskets in the final minutes Sunday nigh. The Wahoos (5-3), coming off a victory at No. 15 Minnesota in the ACC-Big Ten Challenge, led throughout in beating Virginia Tech for the second time in seven meetings. The Hokies (4-4) lost their third straight despite 26 points from Malcolm Delaney. Sene scored only four points, but scored inside with 3:47 to go, giving Virginia a 51-46 lead, and then again with 1:18 to play, after the Hokies had closed to within 51-49. Victor Davila's basket made it 53-51 with 19.4 seconds left, but Jeff Allen was called for an intentional foul on a breakaway for Scott, and he made both free throws. 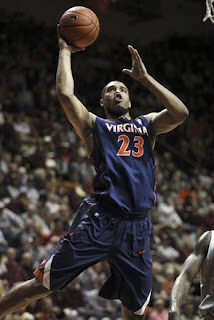 Virginia also got the ball, and Mustapha Farrakhan's two free throws with 16 seconds to play made it 57-51. FORIDA STATE 60, Hartford (Hawks, 4,842 students, West Hartford, CT) 38 – Derwin Kitchen and Bernard James each had double doubles as Florida State overcame a cold-shooting first half to defeat Hartford Sunday night and snap a two-game losing streak. James had 11 points and 10 rebounds while Kitchen, a 6-3 guard, scored 10 points and grabbed 13 rebounds. South Carolina (Gamecocks, 25,527 students, Columbia, SC) 64, CLEMSON 60 – Bruce Ellington scored 14 points, including a critical 3-pointer in the final minute as South Carolina broke a six-game losing streak to rival Clemson (5-3) on Sunday. The Gamecocks (6-1) led 58-55 when Ellington, a freshman, dribbled away much of the 35 second clock before striking for a 3 from the left side of the arc. 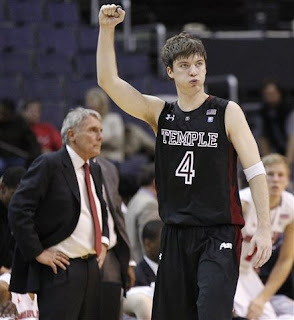 Temple (Owls, 26,618 students, Philadelphia, PA) 64, MARYLAND 60 – Lavoy Allen hit a crucial three-point play and Temple escaped with a victory over Maryland in Sunday's BB&T Classic, despite yielding a 15-point lead. Allen finished with 13 points and 10 rebounds, Ramone Moore had 16 points and Juan Fernandez had 14 for the Owls (5-2), who won their second straight. Jordan Williams had 17 points and 11 rebounds for the Terrapins (6-3) for his seventh double-double this season. Terrell Stoglin scored 12 of his 16 points in the second half.